Have you ever wondered how some companies could produce amazing website content that drives traffic and sales? These same companies have an excellent online brand that connects with their customers and builds an emotional relationship with their readers. Why is it that these businesses continue to succeed through digital marketing content, while so many other brands fall flat? The difference between successful business marketing strategies and those of losers are smart marketers. Specifically, marketers who know how to connect and build trust with your customers. You can do this with a number of online marketing tools for small business to help you grow and increase sales! One way you can engage with your clients is by using power words that trigger an emotional response. 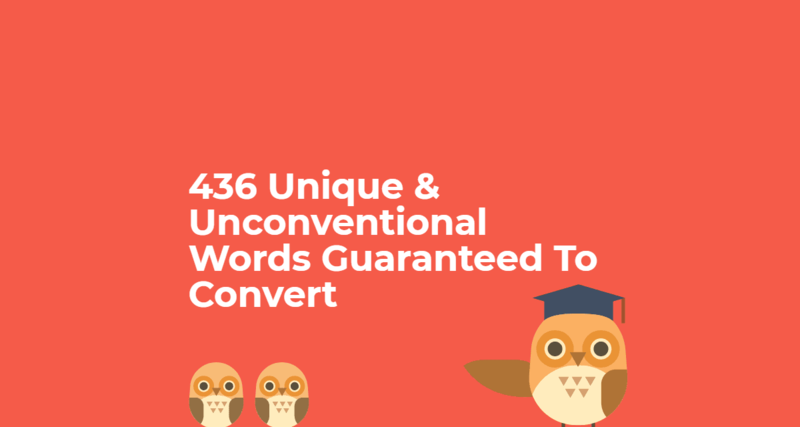 Awesome copywriting packs a big punch that draws your readers in invests their interests into your company and then converts them to your products or services. If you want your business to grow, then you need effective marketing copywriting that gets results. One of the ways your company can gain a competitive edge is by using power words in your marketing content. Power words are the surge of energy that helps crank up a digital marketing strategy. It is no longer acceptable for your business to use a generic approach and tone with your audience. Since your readers have a multitude of choices to solve their problems, your business needs to use emotion to stand out. People connect with emotion, not words. You can use appropriate words and phrases to connect with your readers and help them solve their current problems. Power words are crucial to helping your customers identify their problems, realize their emotional needs, and get your business to meet their desires. Understanding your customers is the most important step to developing excellent content for your business. If you don’t understand where your customers are at in the purchase journey, then you will not be able to optimize content to meet their needs and desires. Power words can be used to qualify readers. You can also use power words to build a connection with your customers. You will be able to describe the demographics of your clients based on the power words you use. Use power words to build a relationship and create a connection with your customers, and you will reach your business goals! Curiosity is one of the strongest emotions that your business can use to engage and convert your customers. Content that invokes curiosity in the minds of your readers will get shared more on social media and convert higher than any other emotion. You should use power words to capture the attention of your readers and then invoke their curiosity, so your readers interact with your marketing content.